Narcotic addicts are wanting to know: what is suboxone ? Treatment of the typical heroin dependent individual has been accomplished in the past through highly regulated methadone treatment programs. The Drug Addiction Treatment Act of 2000 established a program of Waivers that enable physicians who already have, or who obtain, specific qualifications and who provide certain assurances, to prescribe or dispense certain medications (prescribe suboxone) as approved by the FDA for the detoxification and maintenance treatment of opioid dependence. 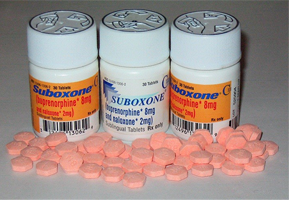 In 2002 the FDA approved Suboxone (Buprenorphine/naloxone) and Subutex (Buprenorphine) for the use in opioid treatment. Only physicians are allowed to prescribe Suboxone and Subutex. Physicians Assistants and Nurse Practitioners were not given this privilege. Who Needs To Know What is Suboxone ? There are primarily two populations of opioid dependent individuals who should know what is suboxone: those with heroin dependence and those addicted to narcotic painkillers. Approximately sixty percent of 400,000 heroin dependent patients in the United States are or have sought treatment through a methadone program. The number of persons who were dependent on or abused heroin increased from 213,000 in 2007 to 399,000 in 2009. Of the population who are addicted to pain killers: According to the 2009 Survey on Drug Use and Health there has been an increase in the number of individuals abusing opioids since 1992. In 2009, an estimated 1.4 million people were dependent on pain relievers in the past year, which was 49 percent more than in 2002. From 2002 to 2009, the number of people who received treatment in the past year for non-medical use of prescription pain relievers approximately doubled (from 360,000 to 739,000). Other findings suggested there are a significant number of people abusing prescription opioids who have not obtained treatment. Because of its novel mechanism of action there are over 190,000 patients with a suboxone prescription. The expected national need is 1.7 million. Most new patients have materialized from the general population rather than from being converted from methadone to Buprenorphine in Methadone treatment programs. This does not include individuals who require repeated detox and repeated maintenance attempts. Additionally, there are no statistics on the number of patients specifically treated for pain with narcotics who are opioid addicted, but there is likely a significant amount dependent individuals in this third category who will need detoxification or maintenance treatment. About Buprenorphine Therapy – In October 2002, the Food and Drug Administration (FDA) approved buprenorphine monotherapy product, Subutex®, and a buprenorphine/naloxone combination product, Suboxone®, for use in opioid addiction treatment. The combination product is designed to decrease the potential for abuse by injection. Subutex® and Suboxone® are currently the only Schedule III, IV, or V medications to have received FDA approval for this indication. Next post: Suboxone In Pregnancy : Is Suboxone or Buprenorphine Safe?